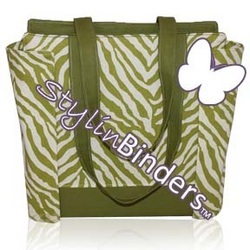 All pre-made totes fit a standard 3" binder. Note: Orders are usually shipped within one or two business days. 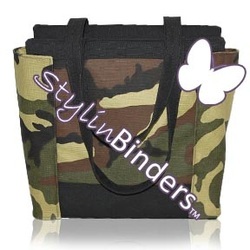 Each order comes with a tote, but not a binder. 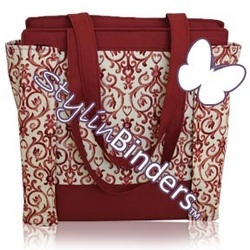 We have found that shipping the binder often costs more than the binder is worth. 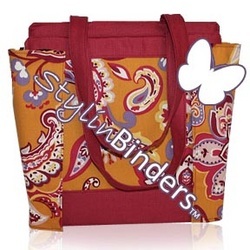 Leaving the binder out of the order dramatically reduces the cost to the customer.